The kitchen is the heart of any home. It’s where memories are made over treasured family recipes, and where friends and family gather for good times. It’s where we go to soothe ourselves after a hard day with a little extra snack from the pantry. And it’s often the place where good form and function meet for a space that’s truly a joy to be in—when you’re working with All About Kitchens, anyway. We’re a renovation contractor helping Modesto homeowners bring their dream kitchens to life. With innovative remodeling designs and tested techniques, we bring your vision to fruition on time—and on budget! What sets All About Kitchens apart from the rest of the crowd? Well, unlike a lot of other renovation and remodeling contractors operating around Modesto, we’re 100% focused on a single room in your home: the kitchen. Every family is different, and the needs of every Modesto homeowner will be different. Maybe you’re someone that loves eating out, and just wants a cool space to hang out in rather than all the bells and whistles a dedicated chef needs. Or, maybe you’re a busy homemaker that loves cooking up a storm—and especially needs good cabinet space for mounds of Tupperware and exotic spices. All About Kitchens will work with you to create a PERFECT remodeling plan that is perfect for you and your home. We’ll source the best materials we can find that meet your budget. We’ll put you in touch with our network of trusted contractors working in the kitchen and bathroom remodeling industry. And we’ll oversee the project from start to finish, ensuring every detail comes out perfectly. Click The Button to the Right to Get a FREE Estimate! Ready to talk shop? We’re certain you’re going to be thrilled with our professional attitudes and beautiful portfolio of recently remodeled Modesto kitchens. Read on if you want to learn more about what we do, but if you’re ready to get a free estimate or to get the ball rolling on your kitchen renovation, click the button to your right to give us a call! What can you expect when you hire All About Kitchens to help you with your next kitchen remodel? Well, we’ve honed our knives on some of the toughest design projects in Modesto, and we’re ready to do the same for you. Wondering if your kitchen can support a gas stove? Need help reimagining your storage setup to fit all your kitchen gadgets? 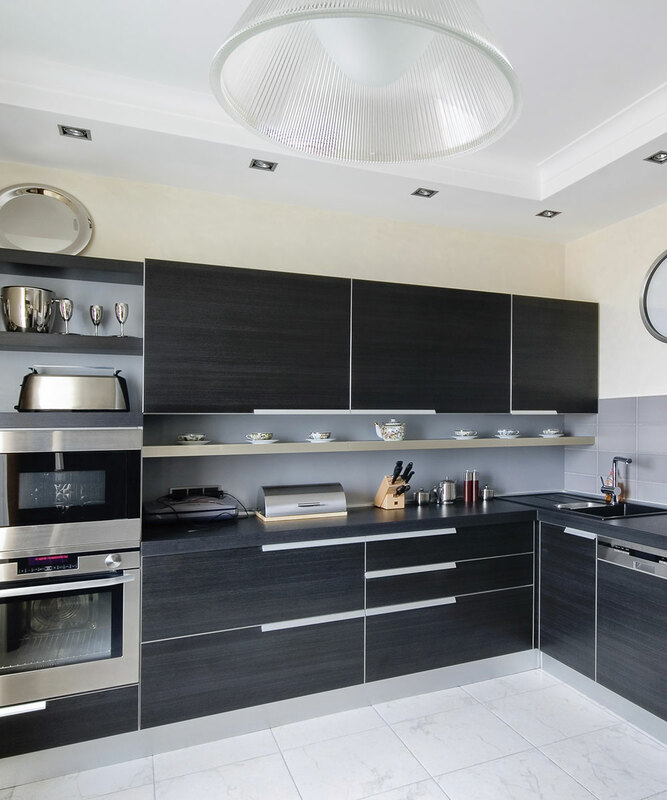 Call Modesto’s premier kitchen renovation contractor, All About Kitchens, today to get started! For many Modesto homeowners, their kitchens are the centerpiece of the house. And why wouldn’t they be? Good kitchen design is a perfect marriage of fashion and function. Every aspect of your kitchen should be considered to bring you joy and also make your life as a homeowner easier. If your kitchen is showing its age or looking a little worse for wear, maybe it’s time for a facelift. Home renovation projects aren’t something to embark upon lightly, it’s true. But you’d be amazed at the value that kitchen remodeling can bring to your home—especially financially! If you’re looking to get your kitchen design juices flowing, we at All About Kitchens have produced a list of these five trends we see over and over in Modesto homes this year. And after you’ve mulled these over, do a little brainstorming of your own and give a qualified kitchen renovation company a call! As we head into the third decade of the new millennium, the fast pace of technological advancement has turned ordinary kitchens into futuristic scenes out of The Jetsons. More and more appliances with Internet connectivity are being introduced and it’s possible to control every aspect of your home with the touch of a button. 2018 has seen the connected kitchen become safer and more affordable than ever before. Earlier in the decade, it seemed that all-white kitchens were going to be around forever. But many homeowners got tired of how frigid and sterile the all-white look was. Not to mention how difficult it was to keep clean. For 2018 and beyond, the trend in new kitchen cabinets is dark—greys, blacks, and navy blues. Plus, installing new kitchen cabinets is one of the less expensive options for home renovation that you can undertake. Your kitchen renovation estimate doesn’t have to break the bank! Shaker kitchens have been a mainstay of kitchen design for centuries. But as we move closer to an exciting and exuberant new decade, kick this stodgy tradition to the curb. Minimalist and industrial-inspired looks with dramatic fixtures are leading the charge into the future. You don’t need wasteful Edison bulbs to make this look authentic—try new LED equivalents. If there’s one thing that’s for sure, it’s that environmentally friendly design is more important than ever. All About Kitchens is seeing a movement both in sustainability of materials and in bridging the natural world with the home. Updating the look and feel of your home doesn’t mean choosing between your love of style and your love of the planet! Try adding greenery and using bamboo as a construction material. Keep it fresh! Ultimately, what matters most is creating a space you love to live in, no matter what’s trendy. Choosing a design that reflects your personality, your values and your budget is a winning combination. When you’ve deliberated on your dream kitchen design, give All About Kitchens a call for a kitchen renovation estimate. If you can dream it, we can build it! All information provided is provided for information purposes only and does not constitute a legal contract between All About Kitchens and any person or entity unless otherwise specified. Information is subject to change without prior notice. Although every reasonable effort is made to present current and accurate information, LinkNow™ Media makes no guarantees of any kind.